One of my dearest friends, who also happens to be an open-air preacher, sent me a book. 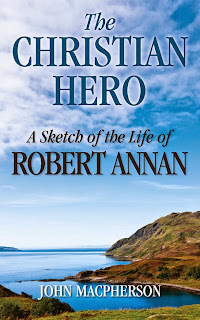 The book, The Christian Hero - A Sketch of the Life of Robert Annan, is a short biographical work of a little-known, 19th century, open-air preacher by the name of Robert Annan. Robert Annan lived a short life, even for 19th century Scottish standards. And he hailed from the town of Dundee. If the town sounds familiar to you, it is because Dundee was the location of my arrest, in January of this year. It is the place to which I will return sometime later this year to stand trial for "breach of peace, with an aggravation of homophobic hate speech." I'm sure these details were not lost on my friend when he decided to send me the book. Although only 95 pages in length, this is likely one of the most important and impactful books I have ever read. I believe this book will not only impact my open-air preaching, but my overall sanctification as a man of God. One should examine themselves to see if they are even in the faith if they read this book and not come away from the experience at least a wee bit humbled. The death of Robert Annan, who had but a few years of evangelistic ministry before his timely and heroic death, was mourned by not only the Christian community, but also those who would beat him in the streets while he preached the gospel. Robert Annan was a man who was above reproach. "Very tenderly and wisely did he deal with young enquirers. He took them always to the Word, his own experience of the former anxiety standing him in good stead. 'Look at this,' he would say, as he turned to the text, 'The blood of Jesus Christ his Son cleanseth us from all sin.' 'Did you ever notice the word "ALL" here?' he would ask. 'Ah, you imagined there were some sins of your which the blood of Jesus Christ could not cleanse. What do you think now?' The effect of all this was now treading the path of life. He constantly laboured to bring out the difference between grace and works; and there is not a passage bearing on this fundamental point in the epistles to the Romans and Galatians which he has not marked in his Bible, or had not expounded in his own way at one time or another. And as he expatiated on his favourite topic, salvation by free grace, he would say, 'It is all grace, my friends; grace from first to last; and that is a grand thing for you and me. Look yonder at the grace,' he would say, as if he then saw souls, Christ's side was opened that poort sinners might look in and see His bowels of compassion toward them'" (p. 37). Annan approached every area of life with the zeal, passion, and love with which he approached every evangelistic endeavor--in his letter writing, in his relationship with his wife, and in the discipleship of his children. Annan appears to be an excellent example of an on-fire open-air preacher who did not lose sight of the fact that his wife and children were his first ministry. Oh, how this drum needs to be pounded and pounded again, in the open-air preaching subculture! I recommend this book to not only every open-air preacher I know, but to every follower of Jesus Christ I know. 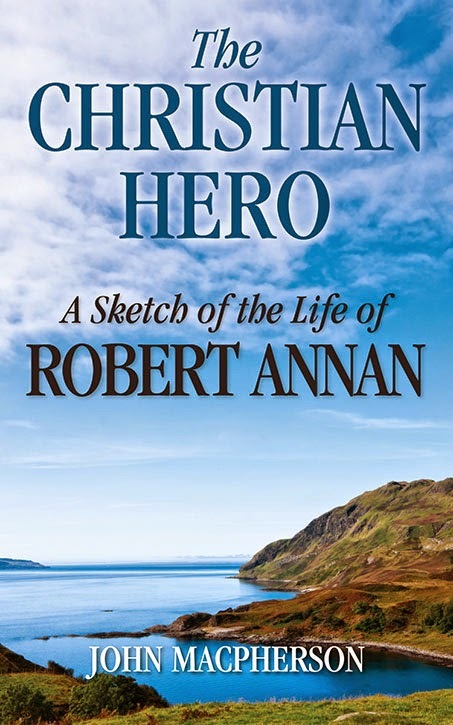 The book reads as quickly and intensely as Annan lived his life, for the glory of God. It was one of those books that, as I read it, I felt a hint of discouragement come upon me, knowing the experience would soon be over. The book is available in paperback and on Kindle. Pick up a copy, today.